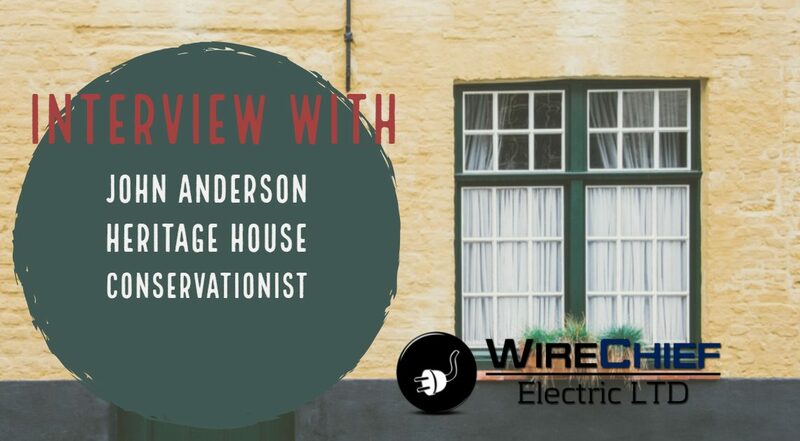 We are thrilled to feature this Q&A with John Anderson, aka “The Window Guy”, a heritage house conservationist whose expertise includes restoring heritage windows. Because WireChief’s work on upgrading electrical systems and replacing old knob and tube wiring intersect with the topic, John was kind enough to share he and his colleague Lloyd Cutting’s (Master plasterer) lath and plaster secrets and adventures. 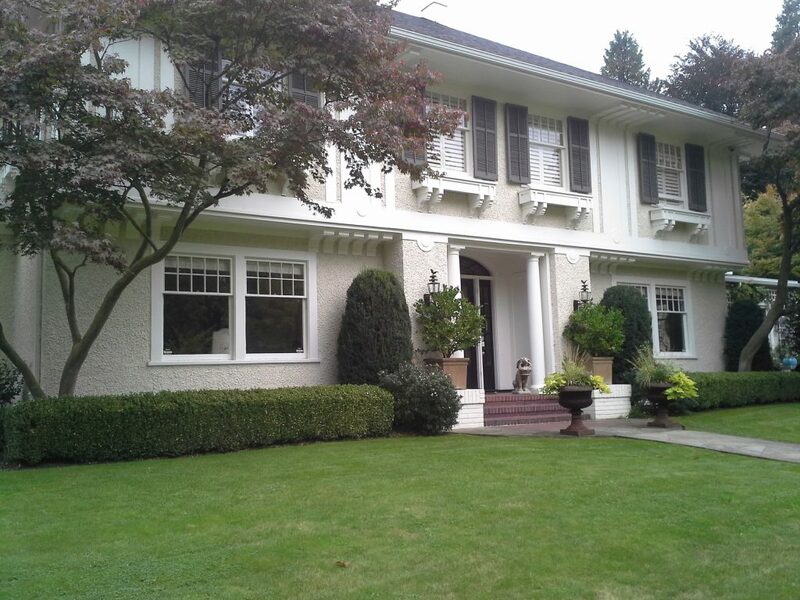 With decades of experience in Vancouver’s heritage house restoration scene, these two know their stuff! Q: Can you briefly explain ‘lath and plaster’? Lath is basically the backing for the plaster coat. It’s attached to the studs [usually in Vancouver, studs are rough cut 2x4s that form the structural framework for the building] and creates the surface for the plaster to be applied to. So, with lath and plaster, you can have a wooden frame wall with studs in it, and it’s not like you have to build a stone wall that you would then plaster the inside of, which is what they used to do in the old days! When they started doing wooden framing, they started using wooden strips that were attached to the studs to apply the plaster too. And that goes back to probably the 18th century, if not before. But in those days all the lath was split from logs! And then, later on, they created lath mills where they could actually produce it for that specific purpose. 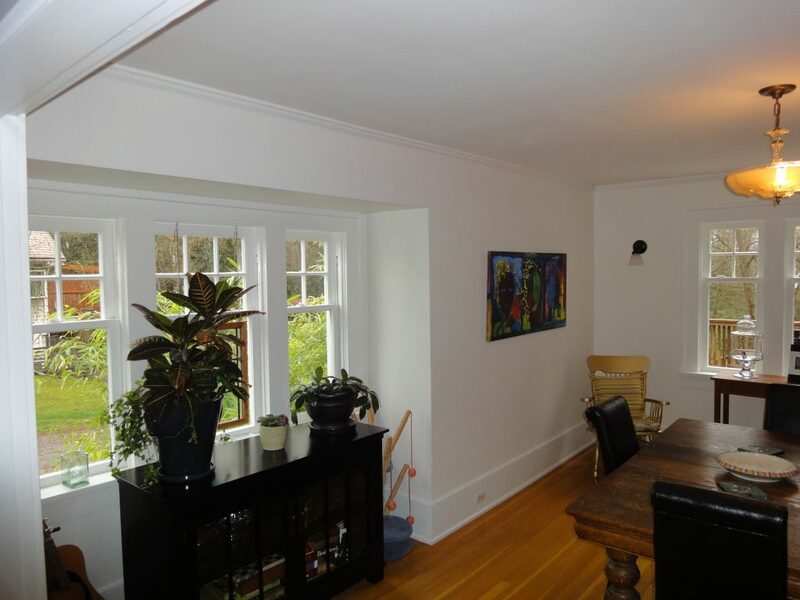 Most of the old houses in North America are lath and plaster walls inside. Generally, in BC, it will be wood lath and plaster and in some cases, in the east, it’s steel lath and plaster. But it hasn’t really been used extensively since WWII, since the 1950s. 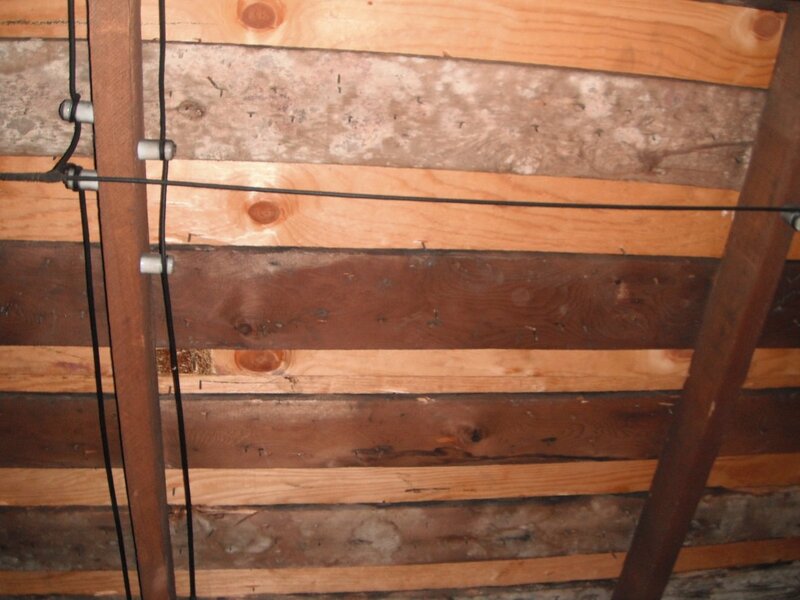 But a lot of houses in North America have lath and plaster in their walls – tons! So, the majority of houses in Vancouver that predate that will have lath and plaster, if they have not already been renovated. Q: Why did building with lath and plaster fall out of fashion? It’s labour intensive and it requires skill as opposed to drywall, which just about anyone with a modicum of training can do… because it’s a sheet, so all you need to plaster are the edges, and just fill the screw holes that you’ve put into it. And voilà. But they still use plaster a lot in places like Europe and Mexico and Eastern Canada. But not here. Q: What are the most common reasons people contact you about lath and plaster? Or it might be that they have cracks in the ceiling. Because you know, the building has settled over the years, and there are cracks, there’s water damage, they’ve had a flood, they’ve had a plumbing upgrade, which like an electrical upgrade is where they’ve had to open the walls to get at things. A lot of times when these places were built in, say 1912, they didn’t do a lot of maintenance on the inside walls. If they started to crack, they’d just put wallpaper over top. And as it started to crack more, they’d just put more wallpaper on, until you get it to where it’s like an eighth of an inch thick in some places. Q: So, generally you mostly do small areas of repair? Not renovation-scale? It can be both. Let’s say you have a house and it’s built in the 1920s. It’s got lath and plaster in it and you have to do an electrical upgrade and you’ve got some cracked walls and ceilings and there are pieces here and there that are loose. If you have one of these houses and you’d like to keep it looking the way it did in the first place — which is probably one of the reasons you bought it — there’s a whole bunch of reasons why drywall and retrofitting drywall into a lath and plaster house, if you want to maintain it’s historic integrity, is not possible to do. Not practically. Because all the thicknesses of the materials are different. You have all your wood trim around your doors and your baseboards and things like that. And the trouble is that there is no dimension in drywall that matches lath and plaster walls. Q: So, you can’t just take the plaster off and put the drywall on the lath? The only drywall you can use is ¼ inch which is not durable enough. It won’t last. But it’s done sometimes when they don’t know how to deal with it. And then you have a drywall surface but the moldings and everything else is all compromised. Because if you add a 1/2 inch layer on top of it, then all of a sudden this [molding] goes from being visible to you can barely see it and it looks awful. Q: So, do people in Vancouver who discover they have it, stick with lath and plaster? They’ve been told that they can’t. They’ve been told over the years that there’s nobody alive who does that stuff anymore. So, they go and they spend $25,000 and gut their house and then have to drywall and end up with a lousy product at the end! Because you have had to rip all your baseboards out, rip out everything and the heritage features are all compromised. And you go to Home Depot and replace everything you’ve taken out. 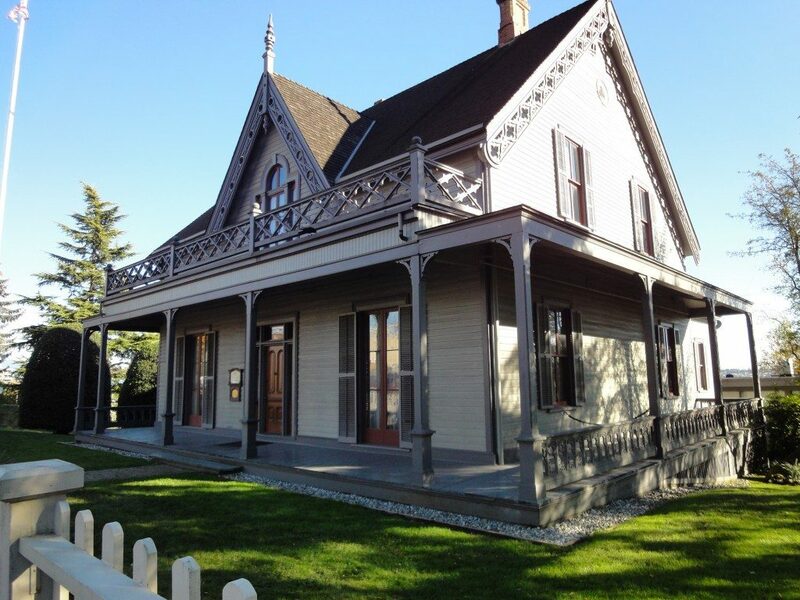 Q: Aside from heritage integrity and aesthetics, what are the other disadvantages of gutting? We want people interested in heritage houses to have an alternative to gutting. The first issue — if we’re talking in ecological terms — is if the surfaces of the lath and plaster are damaged, cracked, whatever and just needs some repair, it’s usually only in areas and not huge. Maybe there might be a wall or there’s a ceiling that has some problems. And often there are ways that we deal with that without gutting it back to the lath and replastering it. There are lots of alternatives. I mean Lloyd’s a smart guy and he’s been doing it since he was a kid. And I’ve been doing this stuff since I was in my 20s and I’m almost 65. Or if needed, we take out the loose stuff, and then we replace it. We do it exactly the same way the boys did it way back when! There’s a ‘brown’ coat, a putty coat, then a finish coat. And that’s that! Because that’s the thing: a lath and plaster wall is repairable. Forever! You know, as it needs maintenance, you can just fix it. So that’s why it can last for 100 years or more. And has in some cases. It can depend on the quality of the job to start with but yeah, you can just keep fixing it. It’s not a big deal, at all. It’s also way cheaper to repair lath and plaster than to gut a house and replace it. A guy like Lloyd, he moves very fast, he’s had lots of practice. And he doesn’t like sanding, and his work is so good, to begin with that there are no issues with the surface. You could basically almost paint it once he’s finished. Just takes a very light sanding. Q: That sounds quite ‘old school’ practical and environmentally ethical in today’s throwaway world! Yes, so ecologically, going back to that… So, if a guy comes in and says “You should just gut it”, now you’re tearing out the lath and the plaster and you’re basically throwing away 3, 4 or 5 tons of material. And that’s all going into the landfill. All your interior trim is going to landfill and everything else that comes out of there is going to go to the landfill. As for us, we’ll come in, and let’s say there’s a hole the size of that [points to a 4’x6’] picture, and it’s not a hole but the plaster has come loose for whatever reason (settlement is usually the issue). So, we’ll pop off whatever is loose, Lloyd brown coats it in — ‘doo-doo-doo-doo’— and there’s not much garbage! 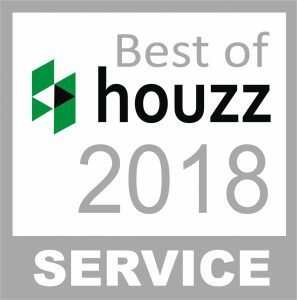 Like we’re just finishing up one on Clark, a 1918 house, with plaster that’s never been touched since the house was built — some holes, some damage — and our total output of garbage was six bags for an open hallway, two stories, big ceilings. But that was a lot for us. Sometimes it’s only two bags. But yeah, if you do it with drywall, it goes out in bins. And if you do it with us, it goes out in bags. Q: Can you then describe the ideal way of working on a home with lath and plaster? What we do! Electricians like Octavio, and us. See what happens in a lot of places is that the people have to open the walls, to do electrical upgrades or plumbing or whatever it is. And they have a guy come in with a reciprocating saw and he starts to cut a hole in the lath and plaster wall, which starts to shake the whole wall and then the plaster starts to fall off! And that’s when they go… “Well, you’ll just have to strip it all out and drywall it.” Because they messed it up and they don’t know how to fix it. We see that. If you look at our website, and you see a section called “A Plaster Disaster” and that’s exactly what somebody did: they sent in a bunch of monkeys with a reciprocating saw and they mucked the walls up, completely. Big, big areas of damage that were completely unnecessary. Q: So how do you do it properly? It’s kind of like client aftercare. What we do. If Octavio’s guys come in, we come in afterward and fix everything up and people walk away and they’re happy. Because they haven’t had a lot of disruption, and they [the electricians or plumbers] haven’t cost them a lot of money. Compared to doing the alternative. Q: Lastly, apart from renovation scenarios, how should people who know they have lath and plaster treat their walls? Is there anything special they should know? Well, don’t take a hammer and nails to a lath and plaster wall if you don’t know where the studs are! Because if you go in between the studs, you’ll knock the plaster off. You just have to use a drill. Drill the hole first and then you can put a nail in there. It’s just a matter of not causing vibration and stress to the surface. 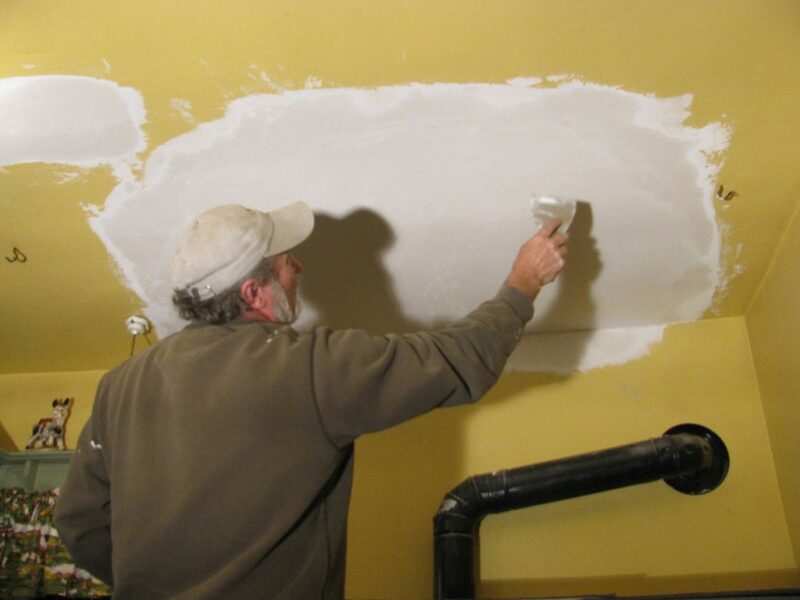 Lloyd Cutting: Lloyd Cutting is a Master plasterer with over 45 years of experience in all aspects of the plastering and drywall trades. From his apprenticeship beginning on Vancouver Island working with his father; also a master plasterer who began his business in 1947, Lloyd literally learned the trade “at his father’s knee”. 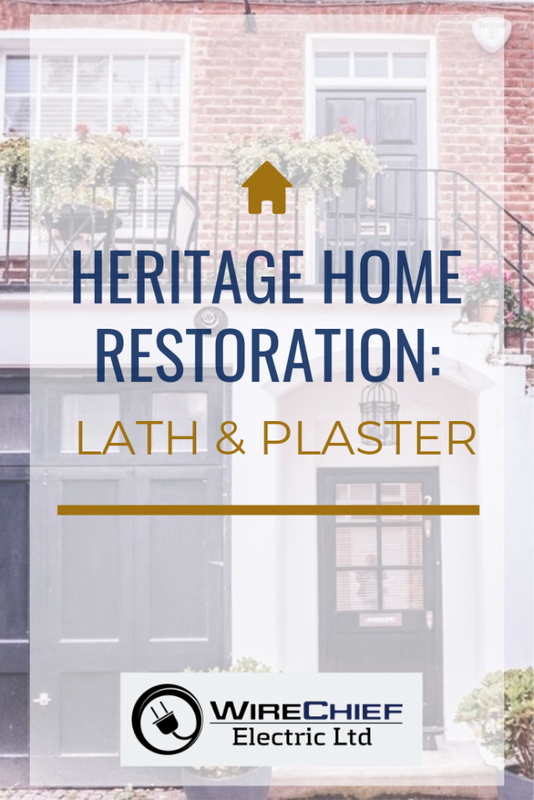 Heritage and ornamental plasterwork are what Lloyd loves to do most, especially restoring historic lath and plaster interiors. 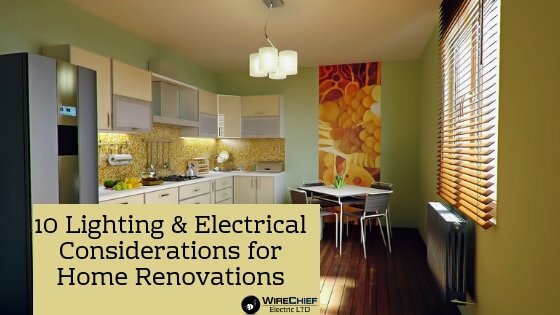 One of Lloyd’s biggest concerns is the environmental impact of gutting older houses of their repairable plaster and lath interiors which when drywalled sends many tons of waste to the landfill. John Anderson: John Anderson AKA “The Window Guy” has been involved in Heritage conservation and restoration for over 35 years in Vancouver and adjoining cities. 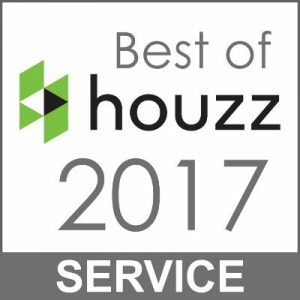 John has received Heritage awards in North Vancouver and Burnaby. 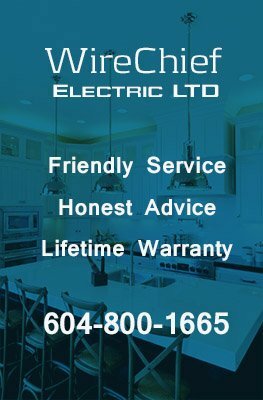 © 2018 – 2019, Vancouver Electrician | WireChief Electric's Blog. All rights reserved. On republishing this post you must provide link to original post. Plaster also doesn’t feed mold, which is a huge consideration for most homes today. Pull out the plaster and replace it with drywall and you’ll keep having to clean up future mold growth. Repairing plaster is definitely worth saving on that cost and hassle alone.